Tea - the simple leaf from one plant, is the life-blood of millions of people the world over. Hundreds of thousands make their living though it and billions consume it every day in one form or another. It is essential to the poorest among us and to the most wealthy. Yet, very few people actually experience the truely extraordinary teas. The teas in this collection are those which are remarkable for their inherent flavor and aromatic qualities, uniqueness, authenticity and rarity. Each has been carefully selected based on its own merits and in consideration of established benchmarks. Some teas are quite rare, even within their home countries. Others may be well known but not easily available outside their growing regions. Yet still, some are grade levels of famous teas that are reserved for gift-giving and not sold on the open market. Some are created by famous master tea-craftsmen (and women) and others by lesser known artists. Simply put, these teas are exceptional; some of the best-of-the-best. 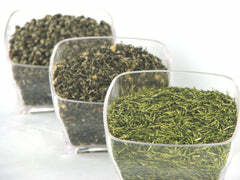 Enjoy these premium, limited availablility teas and experience the refined pleasure they create in you!